If only there were more coverage like this. So many earnest words have been written trying to say what John Oliver says here. I have yet to see anyone make this point any clearer. Dead on, plus hysterical. Some background to a strange story that would be merely comical if there weren’t serious issues at stake. Which isn’t to say there isn’t some comedy here. A cognitive psychologist and his colleagues write a paper linking the denial of climate science with conspiratorial thinking. It is provocatively titled “NASA Faked the Moon Landing—Therefore (Climate) Science is a Hoax: An Anatomy of the Motivated Rejection of Science,” and it is published in the well respected academic journal, Psychological Science. And then it disappears. Really. During the brief period it was posted, it quickly had become the most widely viewed article in Frontiers’ history. Roughly 30,000 views of the abstract, and over 9,000 downloads of the full paper. Number two is a fraction of that. So what happened to it? No one likes their thinking characterized as conspiratorial. 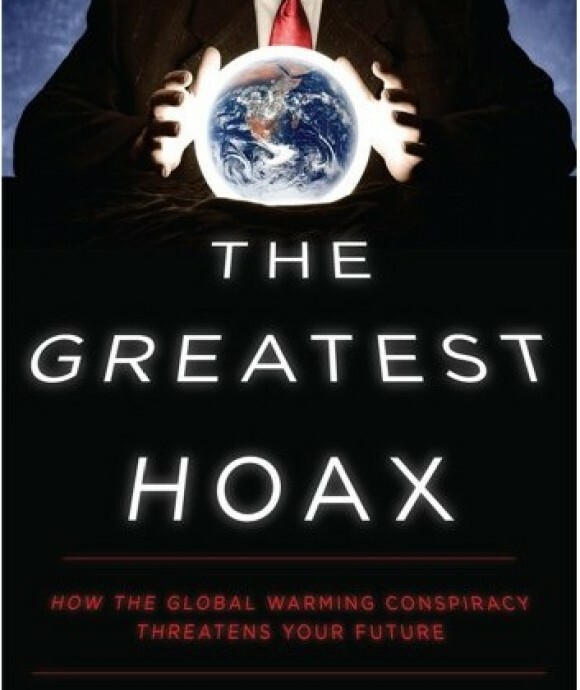 Even if they admire the way their own beliefs are reflected in Senator James Inhofe’s book, The Greatest Hoax: How the Global Warming Conspiracy Threatens Your Future. Frontiers receives complaints about it from the people whose internet posts were analyzed, and it actually retracts the paper, citing legal reasons that must not have occurred to them before publishing it. That last sentence needs a whole lot of unpacking, because this is where the funny part becomes both surreal and serious. When Frontiers eventually retracted the paper, it noted that it had conducted a nearly year-long investigation into the complaints, and found no problems of either an ethical or academic nature with the paper. So the retraction caused something of a stir, in reaction to which Frontiers has issued three further statements. Dramatically changing its story. And digging itself into a hole worth diving down. Returning readers of Say What? are probably wondering why we are not leading with the philosophical problems that interest us here, or what our own personal involvement in this is. Yeah, sorry about that. Bear with me. First have a look at Elaine Mckewon’s well-written account of these events, and some of their implications. 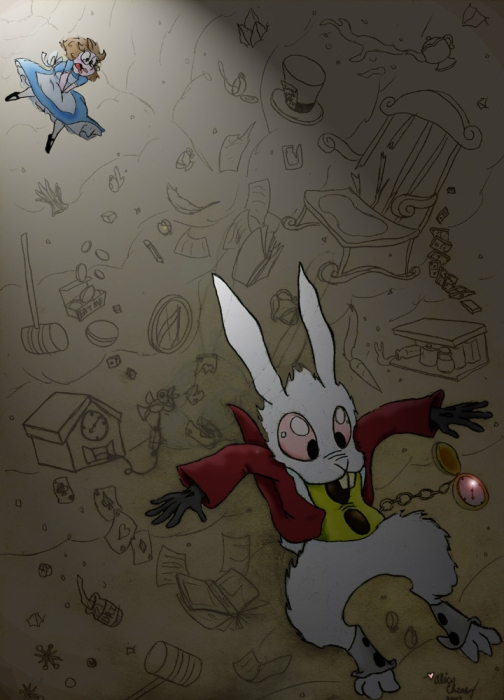 We will follow up in Parts 2 and 3. These are dark times for science — in particular, climate science and related fields of study. Last month, the journal Frontiers in Psychology retracted a paper, ‘Recursive fury: Conspiracist ideation in the blogosphere in response to research on conspiracist ideation‘, by cognitive scientist Stephan Lewandowsky and colleagues. It is a narrative analysis of blog posts published by climate deniers in response to Lewandowsky’s earlier study in which he and his colleagues found that endorsement of free-market economics and conspiratorial ideation are associated with the rejection of science. Recursive Fury further examined and reaffirmed the link between climate change denial and conspiracy ideation. As a reviewer of this paper, I’ve shared my own first-hand account of the peer-review process and early negotiations to re-publish the paper, adding that I’d have expected a scientific journal to have more backbone. As you might expect, the journal copped a fair amount of criticism from other academics as well, appalled that a scientific journal would cave in to threats from climate deniers and abandon its responsibility to defend academic freedom. What has been shocking is the journal’s response to academic criticism. In an effort to deflect the growing backlash from scientists and negative media reports, the journal has issued false statements, changed its story on the retraction and exposed the authors of the paper to reputational damage. First came the journal’s statement which included the claim that “Frontiers did not ‘cave in to threats’; in fact, Frontiers received no threats.” I had to read that sentence twice. Surely Frontiers would not issue a statement that is patently and demonstrably false? As a reviewer, I was privy to some of the earliest threats sent to the journal following the paper’s publication. Email exchanges between the journal’s management, legal counsel and editors and reviewers clearly demonstrate that the journal received threats and responded to them as threats. I have been libeled by Stephan Lewandowsky in his most recent publication in your journal … I demand that an immediate retraction be made. If I do not receive a reply in two days, I will pursue taking this to the next level … in addition to pursuit of other action I will use my blog’s public influence to explain to my readers your Journal’s anti-science position when it suits your agenda. In a later email (in the same exchange), the journal manager advises editors and reviewers, “We will have to keep this article back until we can establish whether it is libellous or not…” This email exchange culminated in a conference call to enable the journal’s manager, legal counsel, editors and reviewers to discuss how the journal should proceed. Let me be perfectly clear: the very reason the journal convened the conference call was to deal with threats that had been received from climate denialists. So the journal’s claim that it “received no threats” is demonstrably false. Not the kind of behavior that instills confidence in the journal’s integrity, professionalism and commitment to the truth. In that same statement, the journal subtly began to change its story about why it had retracted the paper, explaining that its decision had been guided by concerns that the paper “does not sufficiently protect the rights of the studied subjects.” With a bit of charity, this might be construed as a mealy-mouthed affirmation that it had bowed to legal threats and retracted an academically and ethically sound paper. However, a more recent statement on the Frontiers web site by Henry Markram, who identifies himself as “Editor-in-Chief, Frontiers,” leaves no doubt that the journal has now adopted the position that the paper was retracted because of academic and ethical issues. So the journal now appears to be creating academic and ethical issues with the paper in order to justify its retraction, while off-loading any blame onto the paper’s authors and reviewers. Again, hardly the kind of behavior that inspires the trust of scientists. It does not help that Markram made some rather intemperate comments below his lengthy statement in which he questions the value of studying climate denial, suggests that the authors of Recursive Fury look like “the biggest nutters” (presumably compared to climate deniers), and clearly implies that the authors of the paper “abused science” to conduct a “public lynching” of climate denialist bloggers. The whole episode has so far resulted in the resignation of three of the journal’s editors in protest. Chief Specialty Editor of Frontiers Ugo Bardi, a professor of physical chemistry at the University of Florence, said in his resignation announcement that Frontiers had “shown no respect” for the paper’s authors and referees, and that the journal’s actions reflected a “climate of intimidation” around climate science. I see this behaviour from Frontiers as counterproductive to science in general and climate science in particular … If the statements made by Editor-in-Chief Henry Markram are representative of Frontiers at large, I can’t see how it can be supported by the research community. 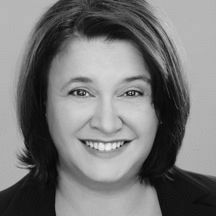 Very interesting piece posted today on the Guardian’s Environment Blog by Dana Nuccitelli, who has been writing good stuff at www.skepticalscience.com. I am re-posting his take on this issue as background to a few re-posts and some commentary (to appear here soon) on the Keystone XL controversy. Is the ‘Saudi Arabia of wind’ willing to sacrifice the economic benefits of clean energy for the sake of the coal industry? To date, 29 states in the US have set standards requiring a certain percentage of electricity production to be met by renewable sources. Soon that number may fall to 28. In 2009, Kansas passed legislation establishing a renewable energy standard requiring 10% of the state’s electricity production to come from renewable sources by 2010, and 20% by 2020. The state, the “Saudi Arabia of wind”, met the 2010 requirements by exploiting its wind power potential, which is second only to Texas in the US. Republican congressman Dennis Hedke, the chairman of the Kansas Congressional joint committee on energy and environmental policy – who has ties to the oil and gas industry – arranged for his committee to hear arguments to delay or eliminate these requirements. This Thursday, the commitee has its final hearing on the subject. The main argument against the renewable energy standards is a common one – that the law will have an insignificant impact on curbing global warming. It’s true that carbon emissions in Kansas are small on a global scale, and the argument is a reassuring one; if our emissions are too small to matter, we can maintain the status quo without worries or guilt. However, the same argument could be made for any state, or even any country. Under the George W Bush administration, the US Environmental Protection Agency argued to the supreme court in 2007 that vehicular greenhouse gas emissions in the US are too small on a global scale to require government regulation. The court rejected that argument in its ruling, noting: “Agencies, like legislatures, do not generally resolve massive problems in one fell regulatory swoop.” Incremental steps are important; even if a single action can’t reverse global warming, it can still slow or reduce it. 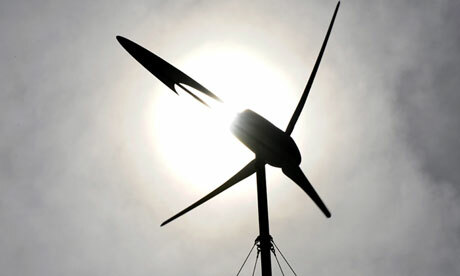 Critics of renewable energy in Kansas have also argued that the technology is too costly. While renewable energy was once relatively expensive, according to the US Energy Information Administration, wind energy has become cost-competitive with new coal plants. This doesn’t account for the external costs of coal combustion, for example on public health via air pollution, or on climate change via carbon emissions. If we were to account for all of the costs of coal combustion, its market price would be significantly higher than the cost of wind energy. As a result of its renewable energy laws, Kansas came in third in total US wind energy deployment in 2012, behind the much larger states of Texas and California. Despite this rapid increase in wind energy production, Kansas utilities reported electricity price increases of just 1% to 1.7% to cover renewable energy investments in 2012 and 2013. Analyses have shown that thus far there has been no connection between renewable energy usage or growth and electricity prices in the US. The Department of Energy has concluded that the total economic benefit of adding 1,000 megawatts of wind energy in Kansas would exceed $1bn over a 20-year period, including $2.7m per year in payments to landowners, $2.9m per year in local property tax revenue, thousands of construction jobs, and 432 new local long-term jobs. All evidence indicates that continuing to add wind energy will have little impact on electricity rates and will benefit the local economy. The question now is whether Kansas is willing to sacrifice those benefits for the sake of the coal industry. I had a much wordier introduction to the article that is re-posted below. Then I saw this Toles cartoon on Joe Romm’s website, Climate Progress, which says most of what I had in mind. 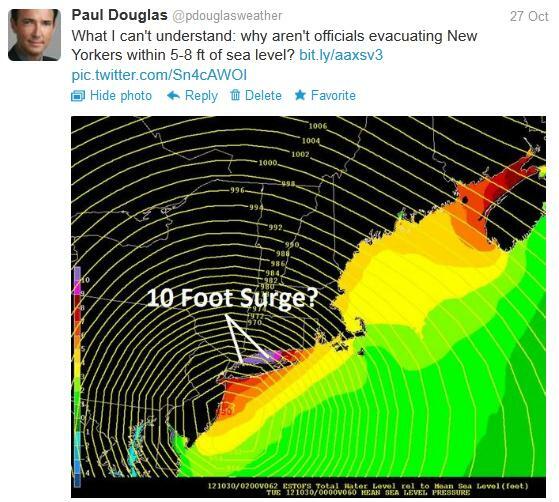 The Paul Douglas piece on Sandy’s legacy is from Huffington Post Green. Nicely done, Paul. By the way, for a nice collection of images put together by some of my students who are reading about climate change, the fossil fuel industry, and money in politics, go to their Facebook Crisis and Cultural Change Experiment. Were you impacted by “Nor’easter-cane” Sandy?” Statisticians will debate whether it was a 1 in 100 year storm — or something worse. Insurance companies will calculate how many tens or hundreds of billions of dollars were lost. It will be a big number, probably the most expensive storm clean-up and recovery in American history. It’s “media hype” until it injures your loved ones, cuts the power, floods your home, or shuts down your small business. Sandy was a rare, hybrid storm — an odd meteorological mutation, a little understood mash-up of hurricane and Nor’easter vaguely similar to 1991’s “Perfect Storm.” It was unlike anything I’ve ever witnessed in my 40 year meteorological career: the size of the storm, its speed, the transition from hurricane to explosive Nor’easter, the miles of coastline experiencing a devastating storm surge, the sheer number of Americans impacted? Unprecedented. Doppler Time Lapse of June 29 Derecho. Courtesy of Greg Carbin, NOAA Storm Prediction Center. It’s been two years of unprecedented weather disasters. 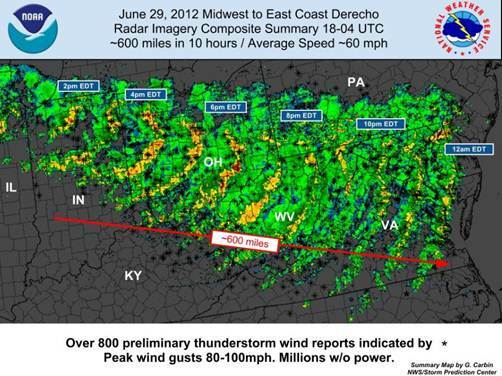 An historic summer derecho, the most severe on record, swept from Indiana to Washington D.C. on June 29. My relatives in Bethesda & Potomac are still traumatized by the boomerang-shaped swirl of hurricane-force winds that swept in with little warning, plunging a huge swath of the Mid-Atlantic back to the 18th century in the blink of an eye. Maybe it was the stultifying summer heat wave and drought that rivaled the Dust Bowl, symptoms of the warmest year on record for the USA? 1-in-500 year floods in Nashville and Duluth since early 2010; record rains lashing Vermont in the wake of Hurricane Irene last year; wildfires in Colorado Springs; record swarms of killer tornadoes sweeping across Dixie Alley in the spring of 2011? Pick your poison. Mother Nature is on a tear. It’s all part of a pattern, a discernible trend. According to a Yale University study, 4 out of 5 Americans was personally impacted by extreme weather or natural disasters in 2011; 1 in 3 was injured by severe weather last year. 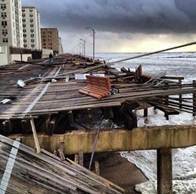 An October report from reinsurance giant Munich Re shows over a trillion dollars in damage from 1980 to 2011, a five-fold increase in disasters over 3 decades, with North America Ground Zero for weather extremes. Turn on the TV or pick up a newspaper. Wall Street was just shut down for the first time since 1888. Submerged subways in Lower Manhattan. The Navy has come to New Jersey’s rescue. Damage may top the previous record, Katrina’s $146 billion in 2005. How much more evidence do we need? Climate change is real, as I’ve tried to describe in previous posts here, here and here. Last Monday I warned our Alerts Broadcaster corporate clients of an historic storm brewing for the Northeast. By Wednesday, October 24th, five days before landfall, I started sharing our increasingly dire forecasts with Huffington Post readers. 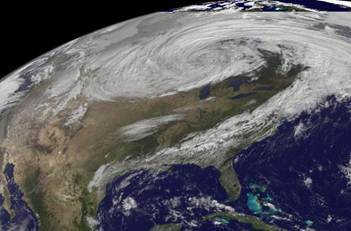 We called for a record hybrid storm unlike anything the Northeast had ever witnessed. 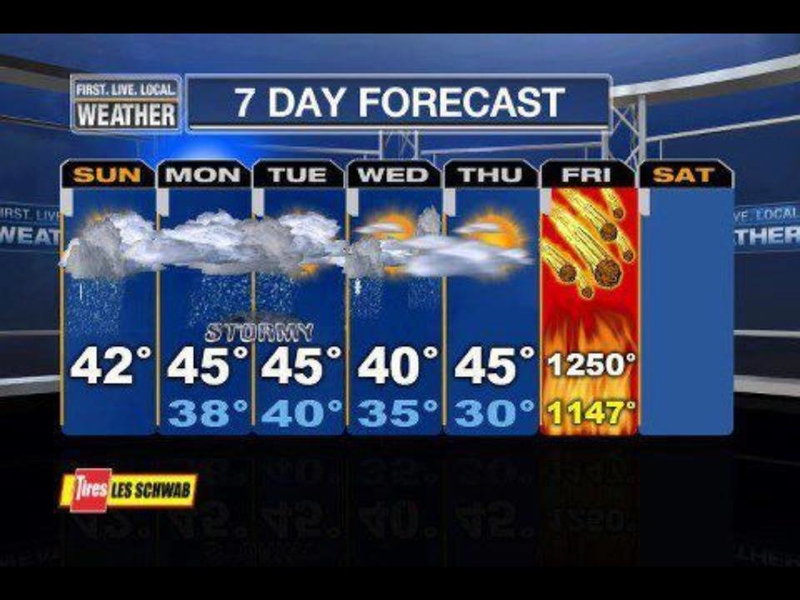 If anything, Sandy was more extreme than even my worst-case scenario. I don’t like making these calls. It drives me crazy to see the effects of climate change going on all around us, to see the devastation, and all I can do is react — warning people to get out of harm’s way. It’s time we do more as a nation than react, late, and after the fact. It’s time we wake up and act. Fact: we already have the technology and the entrepreneurs to slowly transition beyond coal, natural gas and oil. What’s lacking? Vision. And the political courage to do the right thing. Not just for today’s press release, next month’s unemployment numbers or the next quarterly shareholder report, but for the Americans who come next; those stuck with cleaning up our dirty little fossil fuel hangover. The power may still be off where you live, but the one gift, the most precious power we all possess, is the ability to make our voices heard. On November 6 consider voting for local, state and national candidates who acknowledge a role for sound science, leaders who aren’t afraid to face climate facts. Don’t know where your state representatives stand on climate science? Here’s a good place to start. Long Beach, New York. Post-Sandy, courtesy of WeatherNation TV. Future generations will hold us accountable. Step one: elect politicians who still respect sound science. First, a nice primer by Greg Laden on the background about the climate change denying American Tradition Institute’s harassment of respected scientist Michael Mann. An interesting spin on the story is reported this morning in Mother Jones. More comments from me about this story later in the week. Did Science Denialist David Schnare Break Ethics Rules In His Attack On Michael Mann? 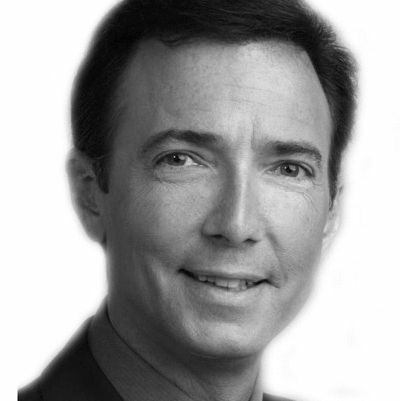 David Schnare is a climate change denier, right-wing activist, and lawyer, and he works for the conservative “free market” think tank American Tradition Institute (ATI). Evidence has come to light suggesting that Schnare acted unethically during the course of a recently settled legal battle over access to private emails exchanged among university based climate scientists. In particular, Schnare may have worked at the US Environmental Protection Agency (EPA) at the same time he was engaged with work at ATI, without the required permission. Almost two years ago, ATI initiated legal proceedings to gain access to private documents held by the University of Virginia, mainly emails that had been exchanged among several scientists working on global warming. This is regarded as a systematic attack on climate scientist Michael Mann, the well known researcher who produced the famous “Hockey Stick” graph demonstrating the severity and immediacy of ongoing climate change (and more recently author of The Hockey Stick and the Climate Wars: Dispatches from the Front Lines ). In September of this year, the University of Virginia won its fight against ATI to protect the researchers’ emails. Part of the process of assessing whether or not these documents should be released involved giving access to those very documents to designated individuals. This presents a conundrum, because a legal team such as that representing ATI might reasonably require access to the documents in order to make the argument that they should be more broadly released, but if the entity requesting this access is itself politically motivated or in some way untrustworthy, this means that the access being argued over is being granted de facto. From the point of view of those who generated the document, this may be a real and meaningful breach of confidence, privacy, or security. Recognizing this, the legal teams representing the University of Virginia and Michael Mann asked the courts to not allow ATI lawyers access, and the courts agreed. In May, 20112, as part of this dispute a legal arrangement between the University of Virginia and ATI, Chris Horner, an ATI lawyer and climate change denier, and David Schnare would have been given access to these emails. The University of Virginia soon took the position that this would be inappropriate because Horner and Schnare had released “disturbingly inaccurate” information to the press about the arrangement that had been made, and a third individual who would not have been allowed access to this material, science denialist Delegate Marshall, seemed to have entered into an arrangement with Horner and Schnare to have access to the documents. In other words, Mann and the University of Virginia were arguing that Horner and Schnare could not be trusted. That dispute was settled when the courts agreed to modify the arrangement. However, as part of this process the apparent ethics violation by David Schnare came to light. Schnare worked not only for ATI, but for a period of time, he also workedfor the US Environmental Protection Agency (EPA). In order for this to have been ethical and legal, Schnare would have had to seek and obtain permission from the EPA to carry on outside activities related to EPA work. Schnare claimed to have sought permission but the University of Virginia has argued that Schnare did not inform the EPA of this outside work until about nine months after first engaging in it. Schnare claims that the letter requesting permission was prepared on or near November 16th, 2010, but there is no record at the EPA that any such letter existed. The letter, which exists now, seems to have been prepared much later in time. University counsel can no longer defend their willingness to entrust tens of thousands of pages of personal, scholarly, and research communications from Professor Mann and other scientists to two individuals who have regrettably provided far too many reasons to doubt that their words may be trusted. In response, ATI filed a document accusing the University of Virginia of being discourteous and engaging in ad hominim attacks, and provided rather weak evidence making their case. Most importantly, ATI does not address key evidence including University of Virginia’s time stamped emails documenting that Schnare had carried out some of his activities in violation of ethics rules. Schnare insisted in an interview with Mother Jones that he had proper authorization to litigate the email case. “I had permission to do legal work outside of work that did not directly involve the EPA or issues in front of the EPA and this is one of them,” he said. He added that the work was pro bono and insisted it was done outside of his day job. The effort by ATI and other climate change denialists to access emails exchanged among climate scientists, such as Michael Mann, who is now the director of the Earth System Science Center at Pennsylvania State University, seems to be a carry over from an earlier event in which climate change denialists had stolen and disseminated emails from among climate scientists. Accusations based on those stolen emails, that data had been rigged or other improprieties had taken place by the climate scientists, were eventually proven false and these accusations are now generally regarded as politically motivated and nefarious. Nonetheless, ever since the “Climategate” event, as it is sometimes called, anti-science activists have tried on many occasions to access private emails or other research documents.